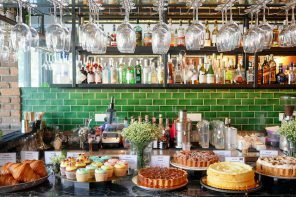 look at the spread! only a fraction of what we had! 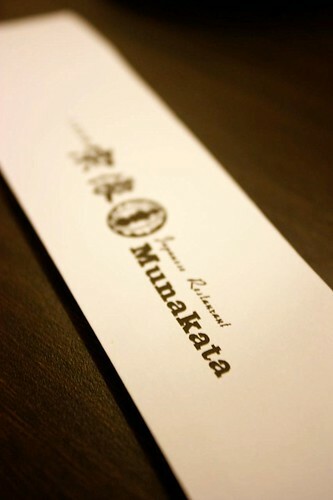 Few weeks back, we went for Munakata’s Buffet Dinner (RM 60+) in the company of people who like to eat as much as we do. Nothing tops our mutual understanding and shared sense of purpose, that is getting the most out of our $$. We went there with high hopes and empty stomachs and went home with stomachs on the verge of exploding. 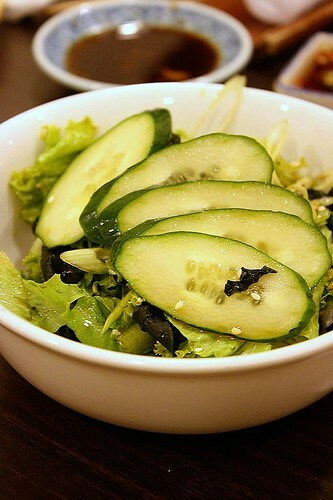 Vkeong’s glowing review on Munakata Buffet has ignited our interest and we manage to secure a table on the following week. I can’t believe that I’ve never noticed this place despite the fact that I work nearby. Well, the outside looked a bit run down and it is a traditional Japanese restaurant with simple setting, something like Saisaki, the fame Japanese Buffet place. 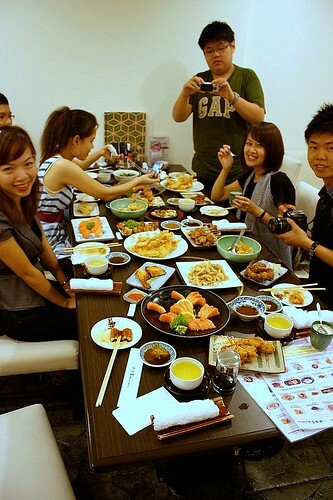 We ate so much that it’s almost impossible to elaborate on every single dish one by one. I’ll just categorize them under the good, the mediocre and the bad part. The one and only Salmon Sashimi – thick cut, fresh and literally melt in your mouth.So good that we had 27 servings of these (1 serving = 3 pieces). No kidding! 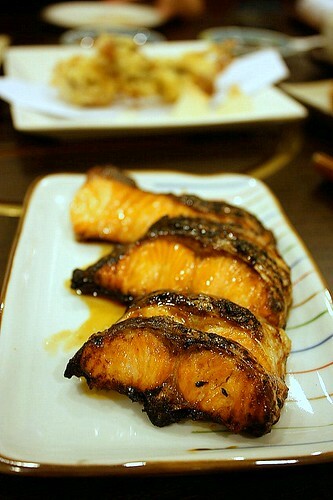 Salmon Teriyaki – the skin crisped up beautifully, helped by the thin layer of fat and juicy meat. 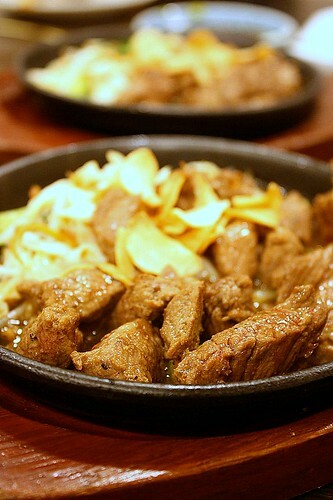 Gyu Saikoro Steak – the steak was beautifully done, so juicy and tender. 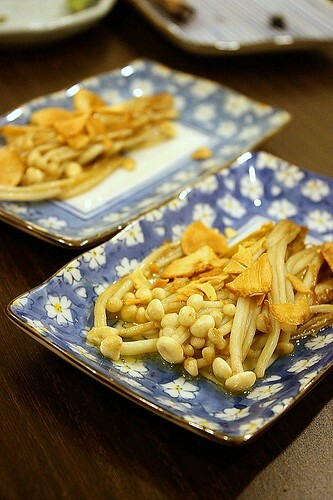 Enoki No Butter Yaki – Excellent sautéed with butter, love the fragrant from the slightly burnt butter. 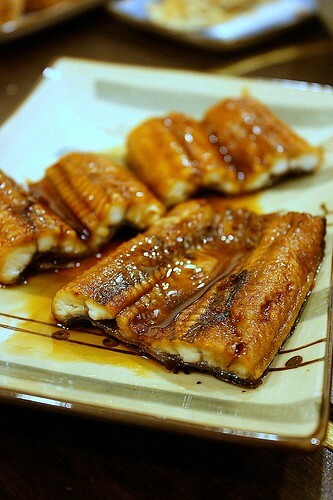 Unagi Kabayaki – can’t go wrong right? 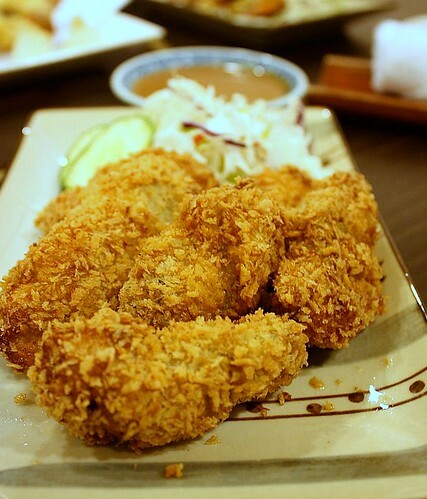 Kaki Furai – The deep fried oysters were extremely delicious even if the coating was a tad too thick. 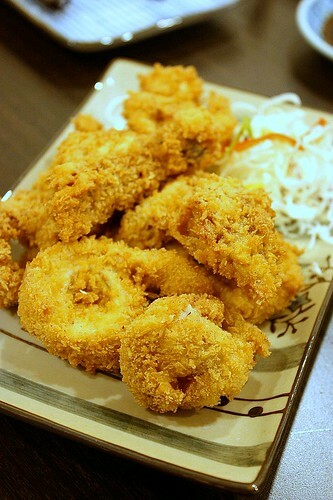 Shira Ebi Karaage (deep fried Japanese Glass Shrimp) – great beer food. 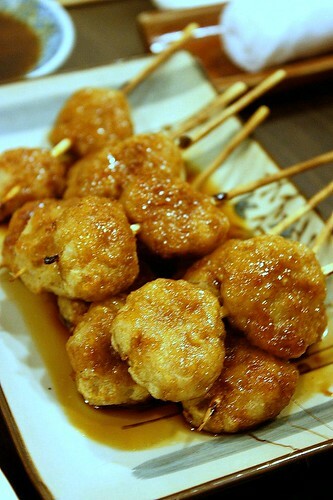 Tori Tsukune Yaki – these chicken meatballs were surprisingly delicious! 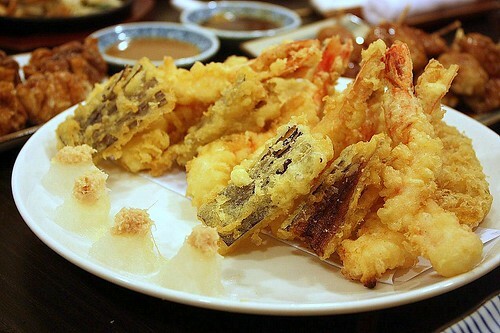 Tempura Moriawase – the tempura batter was way too thick and so oily but the prawns and veges were actually quite fresh. 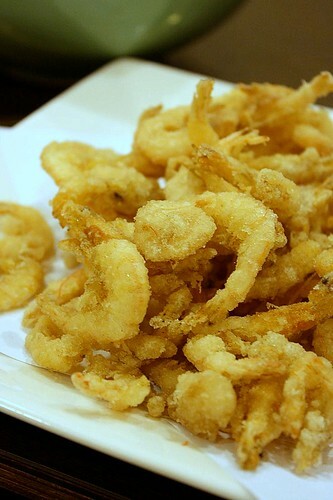 Furai Ika Ring (deep fried squid rings) – thick batter with chewy squid rings. 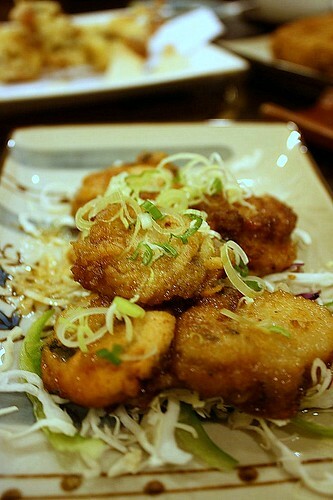 Hotate Butter Yaki – the scallops were fresh but the outer layer was too thick and oily. 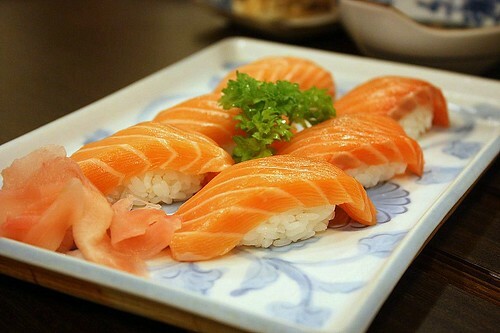 Nigiri Sushi (Salmon) – the sushi rice was a bit dry but the thick cut of salmon made up for it. When I mean bad, I mean really bad. 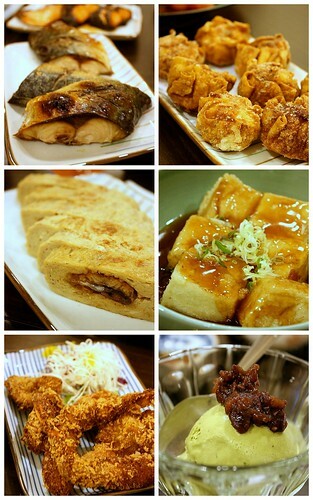 The sake teriyaki (mackerel) was so dry and it has a strong fishy smell to it, the Age Shu-Mai’s skin was too thick, the Umagi Tamago was overwhelmingly sweet, the Ankake Age Dofu (deep fried bean curd with thick starchy sauce) was weird, the tori no karagee (deep fried chicken) were charred, and I’ve never tasted such bad green tea ice cream. With some hits and misses in the ala carte menu, I will still go for Rakuzen’s unlimited ala carte Japanese Buffet (only for Sunday lunch, with more varieties) if I have RM60 to spare . 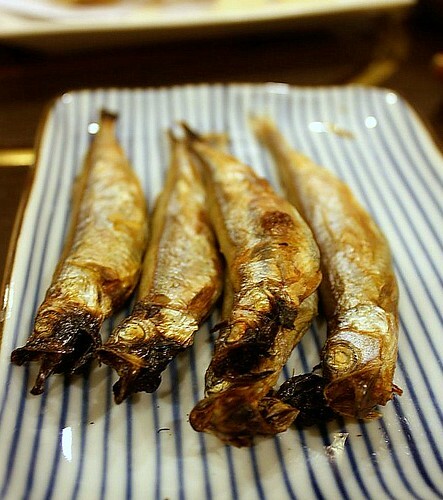 Munakata has only one type of sashimi to offer, while the rest is mostly grilled or deep fried items. However, you can always go for those that we labeled as “The Good”. I’m sure that you’ll get your money worth by having 27 servings of thick cut salmon sashimis. 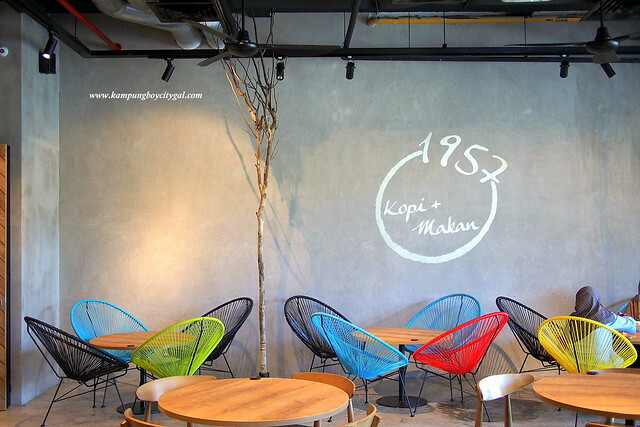 i think the salmon will suffice..haha…shud make up for the rm60.. what??? 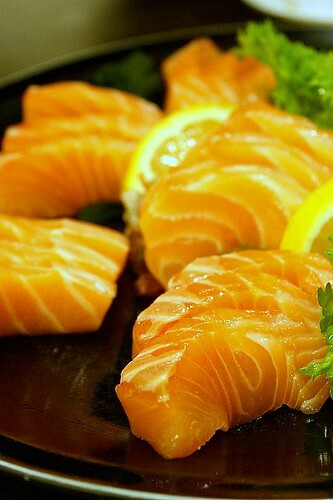 Only Salmon Sashimi… no Maguro??? I prefer tuna instead of salmon actually… sigh!!! 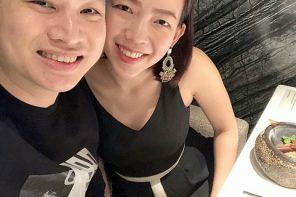 ‘tai sai la’…. haha.. the salmon sufficed already. 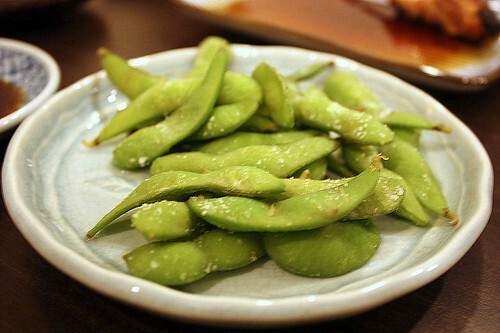 Gosh the tempura and the green tea ice cream was….. uninviting ;P I should let my bro see your post again. haha..
huh? can’t believe only salmon sashimi, is this buffet a daily thing? funny ..the vaniilla ice cream ws horrid but the green tea was good! not consistent perhaps? 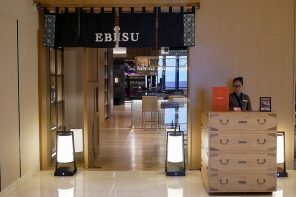 unlimited Japanese buffet???? oh my god!! bila makan makan lagi?! miss you guys badlyyyyyyyyyyyyyyyyyyyyyy…. aiks. and i tot the Mediocre class was already the worst of the lot. didn’t imagine there would be a BAD category. 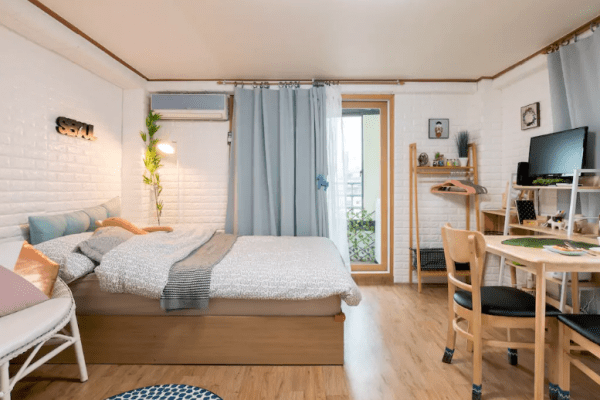 but really, RM60 is a steal. for those sashimi alone.